In season, ATV riders can explore forestry roads and trails from one end of the county to the other. In the winter, sledders will find hundreds of miles of groomed trails that can include the winter beauty and solitude of Rainy Lake, both from the frozen surface of the lake and overland portages. In season, ATV riders can explore forestry roads and trails from one end of the county to the other. Along the way, you may encounter all types of wildlife as there are many different forest types and wildlife habitats throughout the County. Koochiching County allows off-road vehicle travel on county roads. The Blue Ox State Trail runs from the northeast corner of Koochiching County to the southwest corner, providing access to miles of trails and scenic forestry roads. Visit the DNR page for information on state regulations and more for all types of off-road vehicle riding. ​Ride, play and enjoy the great outdoors! ATV, UTV, bikes and more. Get out on the trails and have a great time! ATV rides in Koochiching County can include great places to stop, from very nice county parks along the winding Big Fork River to a historic artesian well that has been flowing steadily since 1914. The “Flowing Well” was originally tapped to ice skid roads aiding lumberjacks in hauling out giant loads of huge white pine in the winter. There are also ATV friendly communities throughout the county where you will be able to get a bite to eat or fill your tank. 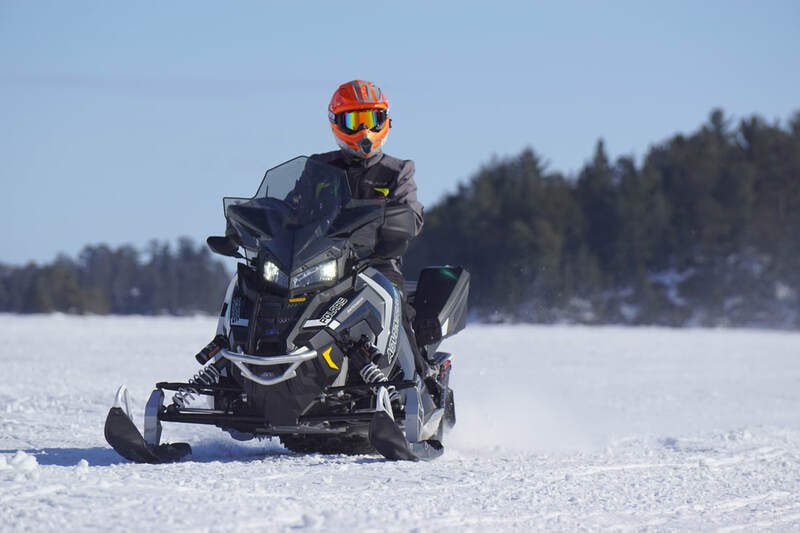 In the winter, sledders will find hundreds of miles of groomed trails that can include the winter beauty and solitude of Rainy Lake, both from the frozen surface of the lake and overland portages. Once you enter Voyageurs National Park, the speed limit is 45 mph on lake surfaces and 25 mph on the land portages. Outside of the park, the state trail limits apply. Visit the DNR Snowmobiling page for information on state regulations, snow and trail conditions and more. Make This your Sledding Destination! You can sled here from all the popular destinations south of here like Ely, Virginia, Hibbing, Grand Rapids and Bemidji on major trails. Once here, you could ride right to your accommodations, either on the snowmobile trails themselves or on city streets or county roads where snowmobile traffic is legal. Trails are clearly marked and kept in great shape by local clubs. The International Voyageurs Snowmobile Club does a great job in our area and they post the best trail conditions information at their website. ​For more information on trail conditions , maps, and snowmobiling activites, check out International Voyageurs Snowmobile Club. 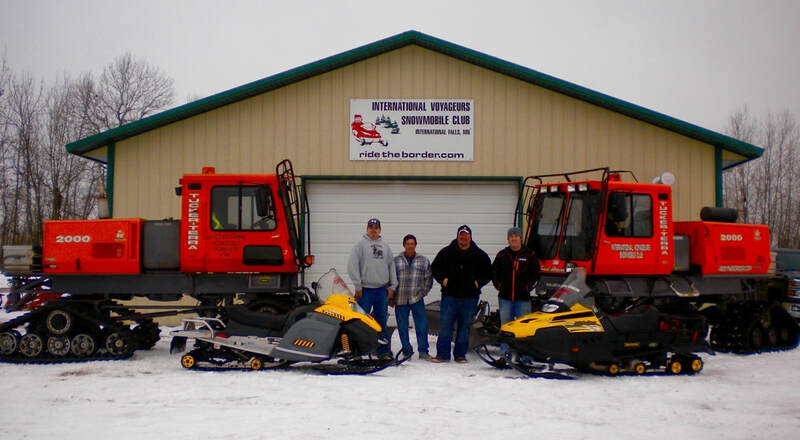 This group maintains 158 miles of groomed trails in the Int'l Falls/Rainy Lake area of Northern Minnesota. Their trails range from wide-open lake running to winding safety portages connecting the lakes, from abandoned railroad grades to twisting wilderness routes. There is also the opportunity to explore the frozen lake surface off the groomed trail. Click here to become a member or for more information on the International Voyageurs Snowmobile Club.